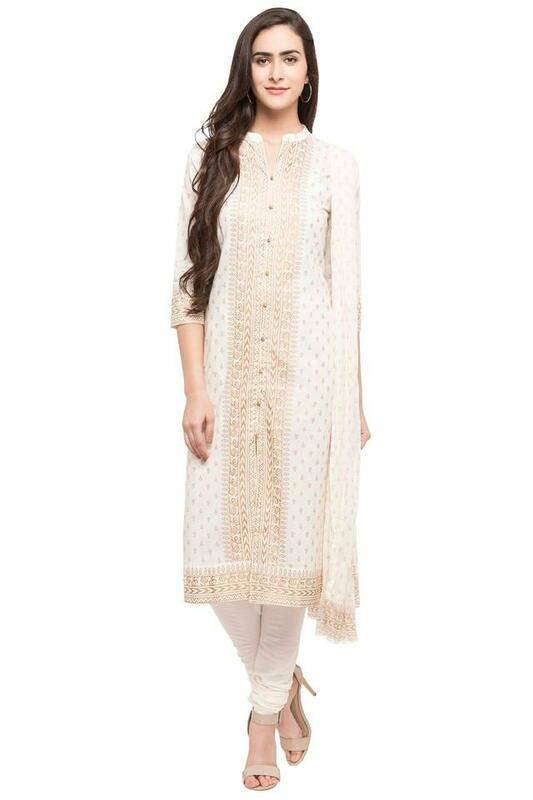 Your classy taste in fashion finds true expression as your step out in this churidar suit from Stop. 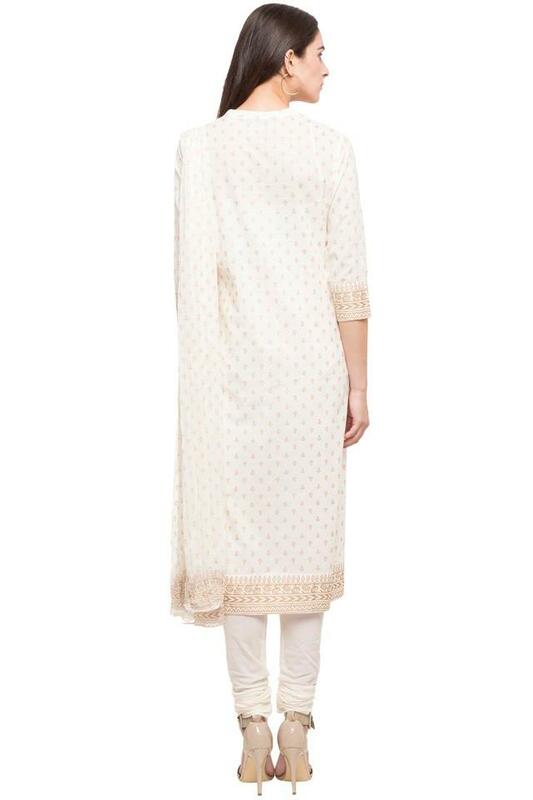 The kurta and the dupatta are adorned with a print that depicts the beautiful picture of a pastoral life. 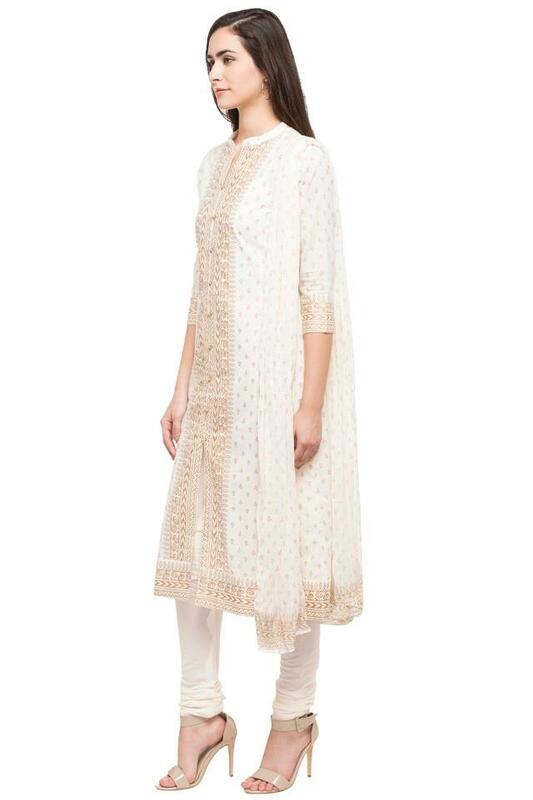 Besides, the ensemble is comfortable to wear as it has been crafted with care using a premium quality fabric. Give your casual fashion a classy twist by wearing this churidar suit with a pair of heeled sandals. It comes with a printed pattern that makes it appealing to look at.